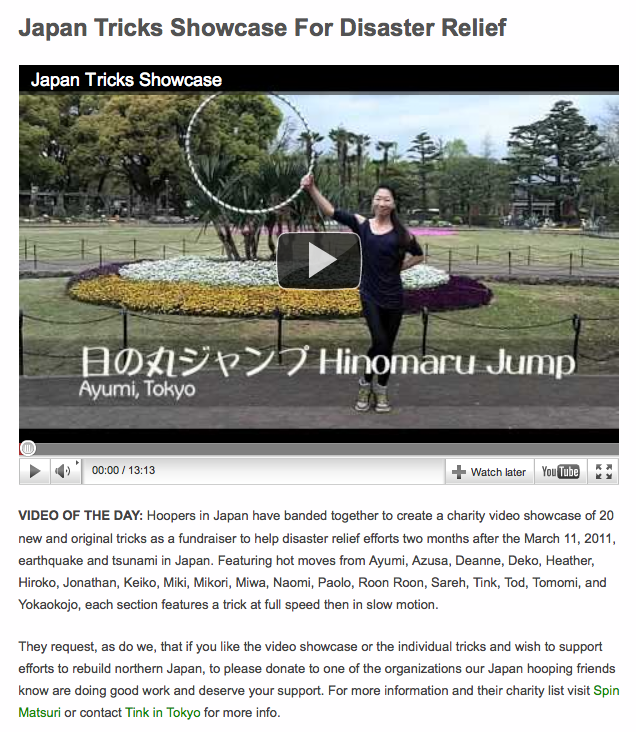 Thanks to features on Hooping.org and Hoop City, the Japan Tricks Showcase has been viewed 569 times in 2 days. Welcome international hoopers, to Spin Matsuri. 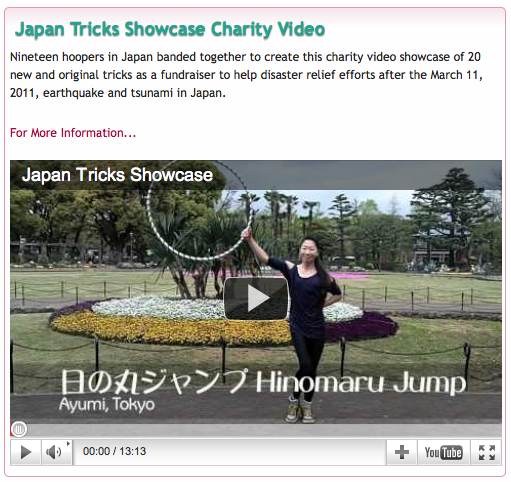 Video of the Day on hooping.org on May 11, too. I hope that the donations are following as swiftly as the view count increases, though I understand that statistically only 10% of the people who look at something are likely to act on it. So thank you to the 57 people who have donated! I am grateful that you are one of those people. We’ll never know the amount the showcase raises for the charities because your donations go directly to them, but I know they will all appreciate whatever you give.